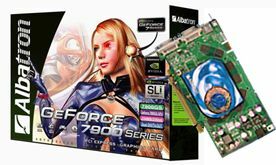 September 6, 2006 – Summer vacation is over, and if you’ve been stuck at the same gaming levels, its time to upgrade the system to give you some added incentive. 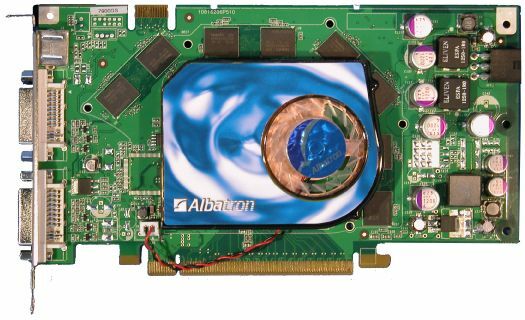 The new Albatron 7900GS price/performance graphics card is a great economic way of getting rid of those laggies and boosting image quality when battling your demons and dragons. And if that’s not enough, the 7900GS provides full video playback capabilities including HDTV support. The 7900GS uses a PCI-Express x16 slot and also can be installed in an SLI dual VGA configuration with the latest nForce 500 series mainboards. The engine core on this card has a frequency of 450 MHz and includes 20 pipelines. This card contains 256 MB of high speed 1320 MHz DDRIII memory with a 256-bit memory bus assuring top 3D graphics processing efficiency and execution. The GPU on the 7900GS also contains NVIDIA’s full complement of graphics/video modules including the latest CineFX 4.0, Intellisample 4.0, UltraShadow II and nView. NVIDIA’s PureVideo also provides you with the most sophisticated video decoding and playback available. It also supports HDR (High Dynamic Rendering) and HDCP. Microsoft® DirectX® 9.0c Shader Model 3.0. is also supported and the card is ROHS compliant. The 7900GS contains a DVI connector and a Dual Link DVI connector. The bundle will include an HDTV cable, S-Video 4-pin cable, AV cable, DVI Adapter and a full TOCA RACE DRIVER 3 game with a $30US value. To get the best deal for your money, you have to be in the right place and the right time. The 7900GS is here and now and promises uncompromised performance for your gaming and video needs.